Siemens, which is working on several of the winners, said that the model projects will pave the way for additional microgrids in other communities. “Once again New York and Governor Cuomo have demonstrated their leadership role in the expansion of clean and affordable energy,” said Clark Wiedetz, microgrid director for Siemens Energy Management. “These microgrid solutions involving both the public and private sector can be used as models for other communities across the country. Multiple business structures are being applied in different ways for a variety of customers across six regions of the State – this diversity will help pave the way for microgrids in other communities. 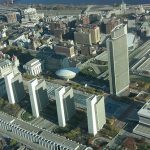 The Empire State Plaza microgrid project would provide power and thermal energy to the plaza and possibly power to the Times Union Center, city hall, the courthouse, and the new convention center. The facilities can act as facilities of refuge during a natural disaster or extended power outage. Partners: Albany County, New York Power Authority, Office of General Services, Clough Harbour Associates, Couch White, City of Albany, Albany County Emergency Management Office, Pace Energy & Climate Center, and National Grid. The University Heights area in Albany has experienced significant load growth. A microgrid could avert need for new transmission and distribution infrastructure improvements, as well as increase the reliability and availability of power. The microgrid project would use renewables, combined heat and power (CHP), and energy storage technologies. It would deliver electricity to Albany College of Pharmacy and Health Sciences, Albany Law School, Sage College, Capital District Psychiatric Center, Parson’s Child and Family Center, Congregation Beth Emeth, and the soon-to-be-developed Gallery at Holland apartment complex. Partners: Allen Power, GE Energy Consulting, Labella PC Engineering, Joule Assets, Red Hook Solar, Michael Barnas, City of Albany Planning Department, and National Grid. A 39.6 MW waste-to-energy facility, run by the Onondaga County Resource Recovery Authority, would serve as anchor for the microgrid project. It also includes three other critical facilities: Upstate University Hospital Community Campus, Onondaga Community College, and several Loretto Long Term Care facilities. Others served by the project include a nursing home, a senior housing complex, a fire station, the Onondaga County consolidated 911 dispatch center, an elementary and middle school, public housing and apartment buildings, and approximately 2,000 residential and small commercial customers. Partners: Central New York Regional Planning and Development Board, GE Energy Consulting, Clough Harbour Associates, Couch White, and National Grid. Besieged by storm-related outages, Huntington plans to develop a microgrid project powered by a new fuel cell, energy storage, solar photovoltaics, and CHP that uses natural gas and biogas produced by the town’s wastewater treatment plant. Those to be served include: town hall, Huntington Hospital, Huntington Wastewater Treatment Plant, Huntington YMCA, and Flanagan Senior Center. Other microgrid customers may be added. Partners: Town of Huntington, New York Power Authority (NYPA), TRC Energy Services, National Grid, and PSEG-LI. 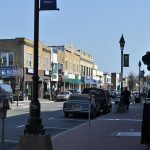 Rockville Centre is a municipal utility that provides power to about 11,000 electrical accounts. The community was devastated by Hurricane Sandy. The facility would serve 2,900 residents and 34 critical facilities including the South Nassau Communities Hospital, police and fire services, village hall, assisted living center, and vital retail businesses. Partners: Village of Rockville Centre, RRT SIGMA, Siemens, Wendel, and CSA Engineering. Another area hard hit by Superstorm Sandy as well as Hurricane Irene, Freeport is one of the most densely populated areas of Long Island — 43,000 residents in an area of only 4.5 square miles. 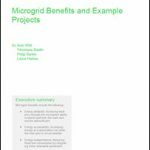 The Freeport microgrid project plan calls for repowering the municipal electric utility’s existing power plant. The microgrid also may include solar, wind, fuel cell, CHP and battery storage. Power will be distributed to the village’s LIRR station, telecommunications system, police and fire operations, four public schools, as well as more than 250 commercial and 150 residential parcels. Partners: Village of Freeport, Freeport Electric, Global Common, D&B Engineers, GE Energy Consulting, Joule Assets, and West Monroe Partners. A district energy system, the East Bronx microgrid project would provide heat and power to Weiler Hospital, Jacobi Medical Center, the Albert Einstein College of Medicine, and Calvary Hospital. Although on-site generation already is available at the site, adding microgrid technology will reduce the risk of single generators failing during prolonged outages. In addition, the site is located in an area that is experiencing stress on the transmission and distribution system. The design calls for CHP, solar, battery systems, steam turbine generators, and heat recovery steam generators. The project will also leverage the existing steam generation plants at the four hospitals. Partners: Enwave, Burns & McDonnell, Gotham Energy 360, Van Zelm Engineers, Couch White, Utilivisor, and Con Edison. The 11 city blocks in Brooklyn includes three hospitals that provide medical and mental health services to the community: the New York State Office of Mental Health (Kingsboro Psychiatric Center), State University of New York (Downstate Medical Center), and Kings County Hospital Center. The setting is right for a microgrid project because the facilities act as critical care providers and places of refuge during community emergencies. The design calls for CHP, renewables, fuel cells, energy storage, and advanced transmission and distribution technologies. The microgrid project would supply power and possible heating to the hospitals and may include Kingsbrook Jewish Medical Center and the George Wingate High School. Partners: Burns Engineering, Customized Energy Solutions, Siemens, NYPA, Luthin Associates, Matrix New World Engineering, Michael Barnas, and Con Edison. The Amtrak New York City microgrid includes Sunnyside Yard (Long Island City, Queens), portions of Pennsylvania Station (Penn Station, Manhattan) and two education facilities (LaGuardia Community College (LCC), and Middle College High School (MCHS) in Long Island City. 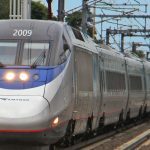 In its simplest form, the Amtrak NYC microgrid provides a solution to move people out of Penn Station to stations both north and south of the city. If expanded, the microgrid could move people further upstate and well into New Jersey; this is a particularly valuable societal benefit in a city where most people already rely on public transit. Partners: Booz Allen Hamilton, Burns Engineering, Siemens, Amtrak, New York City, and Con Edison. Located at the confluence Susquehanna and the Chenango, Binghamton is prone to flooding and was largely submerged in 2006 and 2011. The flooding affected electricity service, water, police and fire protection, as well as housing. The microgrid project would include CHP, solar, and hydroelectric power. Power would be provided to Binghamton City Hall, Binghamton Police Department, Binghamton Fire Department, Binghamton Water Treatment Plant, YMCA of Broome, YWCA of Binghamton, Twin River Commons Student Housing Complex, Holiday Inn Arena, Bates Troy Laundry, Kradjian Properties, Keystone Associates Architects, Engineers and Surveyors, and NYSEG. Partners: GE Energy Consulting, Bridgestone Associates Limited, Keystone Associates Architects, Engineers and Surveyors and NYSEG. The microgrid would serve a growing medical campus with 12,000 employees and many of the city’s vital medical facilities. The design calls for use a combination of CHP and renewables, such as solar, energy storage, alternative fuel/generation, and controllable loads. Those served would include Kaleida Health, Roswell Park Cancer Institute, State University of New York at Buffalo (“UB”) campus facilities, Cleveland Biolabs and portions of the adjacent Fruit Belt residential neighborhood that share common electric infrastructure. Partners: Black & Veatch, Power Analytics, Electric Power Research Institute, Erie County, City of Buffalo, National Fuel Gas, Erie County Department of Health, and National Grid.